According to the product’s usage scenarios and functional requirements, design the appearance of the product and create a product model. 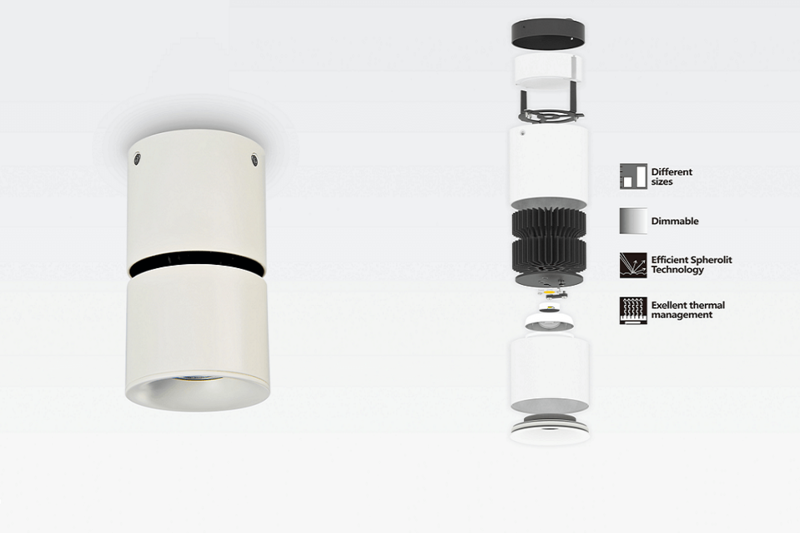 In the design process, consider the power dissipation, the angle of illumination, the size of the illuminating surface, and the convenience of installation of the luminaire, and adjust the proportion of the luminaire. What is more, considering the process difficulty of parts processing and the versatility of parts, the manufacturing cost of the product is saved as much as possible, and reduce the assembly complexity. For the metal materials and surface treatment of luminaires, we use the highest standards of material aesthetics, processing precision and surface protection. With the most careful surface sealing technology, we achieve extreme corrosion resistance. Our tolerance requirement of paint is much higher than the usual industrial standard. Quality standards need to be continually further development, and guide our manufacturing standards. For optimum corrosion protection, all aluminum parts are pretreated and passivated. These parts are then coated with our standard colors, such as graphite, silver powder, and white. In the production of metal luminaire parts, we use a variety of metals, using alloying processes and casting processes. We usually use aluminum, stainless steel or brass. These materials are more suitable for the application scene or appearance of finished lamps. Detailed information on the materials used to make the product is described in the luminaire catalog, in the instruction manual or in the product description on the Internet. 1. Defining the power that LED lamps need to dissipate heat. Some parameters to be used in designing the heat sink are the specific heat and thermal conductivity of the metal, the thermal resistance of the chip, the thermal resistance of the heat sink, and the thermal resistance of the surrounding environment. 3. Combine the heat sink with the LED light into a complete luminaire and verify that it meets relevant standards and regulations. To test the performance of heat dissipation, the temperature is measured at room and evaluated through comparing data of Heat-Fluid structural simulations.